e-scope 3-in-1 by e-skett Corp.
Three tools (oscilloscope, FFT analyzer (spectrum analyzer), signal generator) are included in the e-scope 3-in-1. 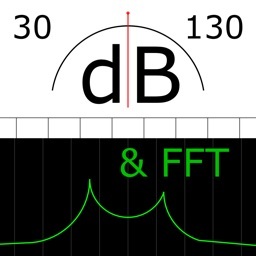 It can observe the frequency characteristics of audio devices using an FFT analyzer and a signal generator. Observation of frequency characteristics in real time is possible by using the FFT synchronization sweep mode. inputs are acquired via the built-in microphone or headset connector. The oscilloscope has three modes. 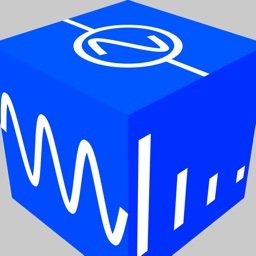 * Normal mode: It is suited to observe music waveforms. * Trigger mode: This mode is suitable for repeated waveforms such as sine wave. 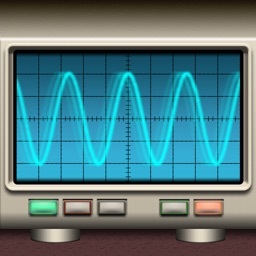 You can observe waveforms in stationary condition. 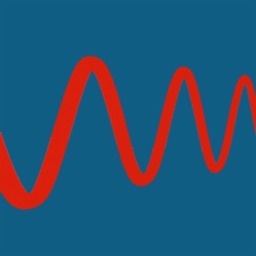 * Single mode: This mode is suitable for observing one-time waveform such as impact sound. You can change the sensitivity and time span by pinch out and pinch in. 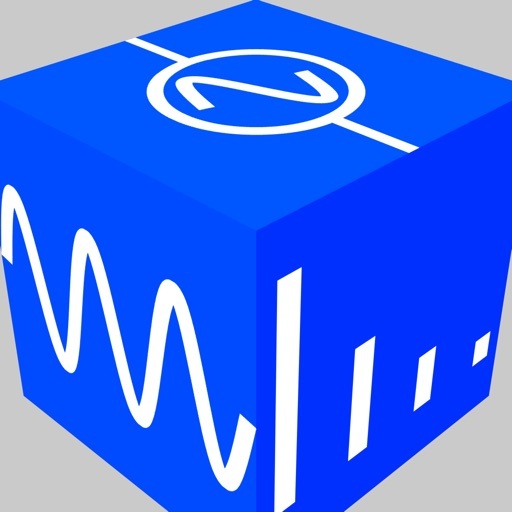 It is possible to analyze the frequency spectrum of an input signal. 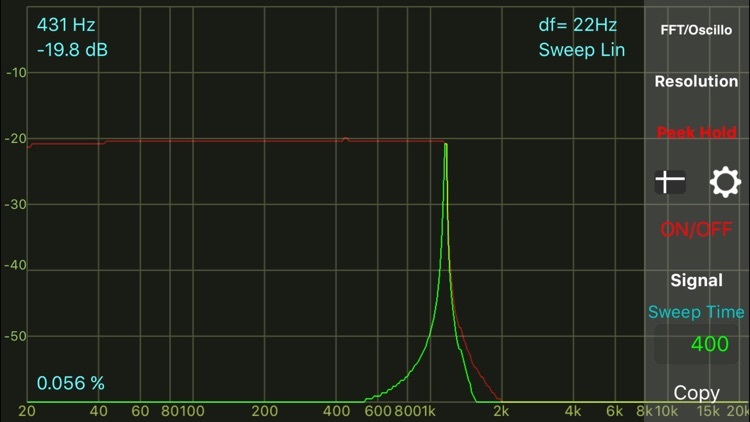 The peak level and the frequency are displayed at the top of the screen. The display can also be used as a simple frequency counter when you enter a single signal. 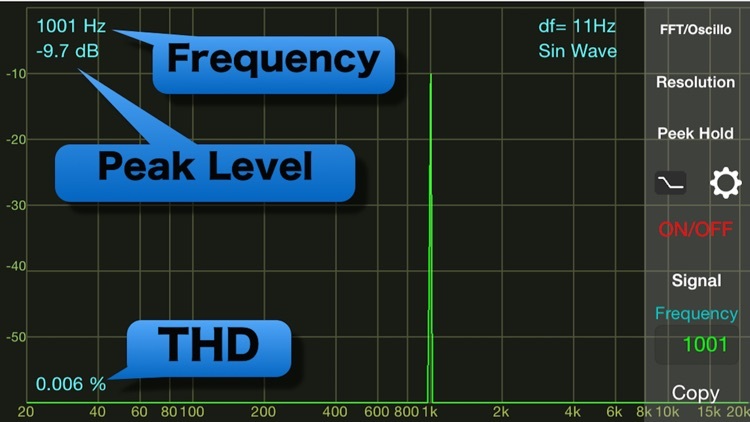 In addition, the THD (Total Harmonic Distortion) value is displayed at the bottom left of the screen. 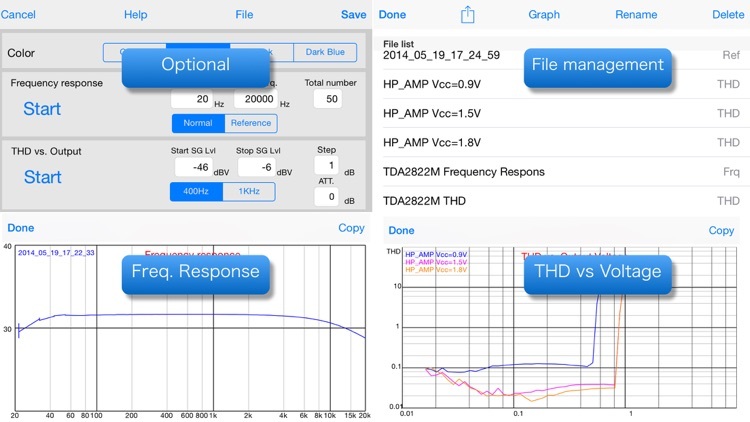 By pressing the resolution button, you can select the frequency resolution free three types. When you press the peak hold button, the maximum value of the signal that you are currently viewing is displayed in a red line. 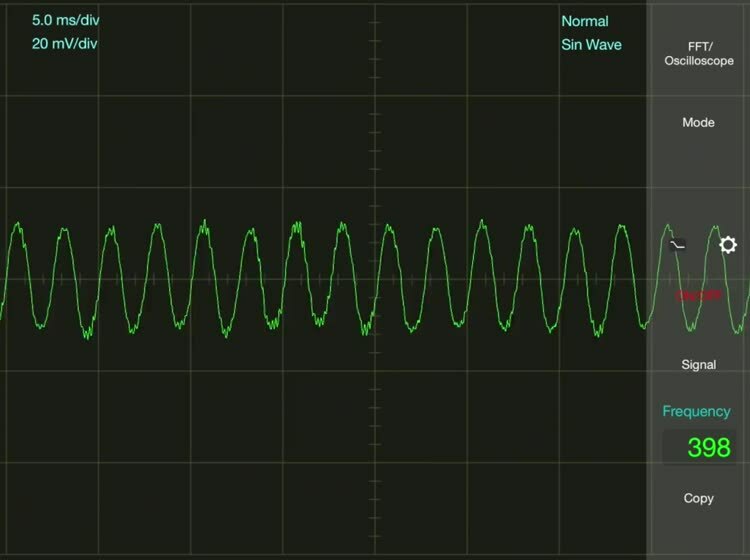 Sine wave of 1Hz to 20kHz, White noise, Linear sweep and Log sweep ranging from 20Hz to 20KHz. 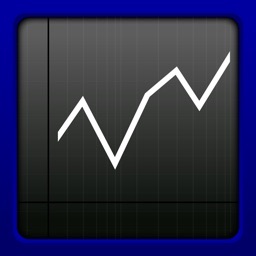 When you tap the area that displays the frequency or sweep time range, a picker will appear. Please set the appropriate numbers in it. 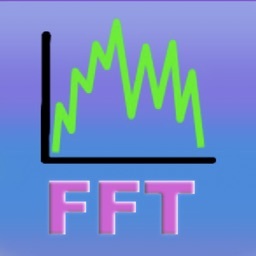 By using the mode [optimized for FFT], it can automatically change to a frequency with highest FFT accuracy. Please use the feature if you want to accurately measure the THD. While the frequency is displayed, it will be ignored when you enter 0000. During the FFT synchronization sweep mode, when you enter 000 as the display start time for the sweep time display, the FFT synchronization sweep mode will be activated. It will change the frequency at high speed in FFT analysis unit time (less than 0.1 seconds) . 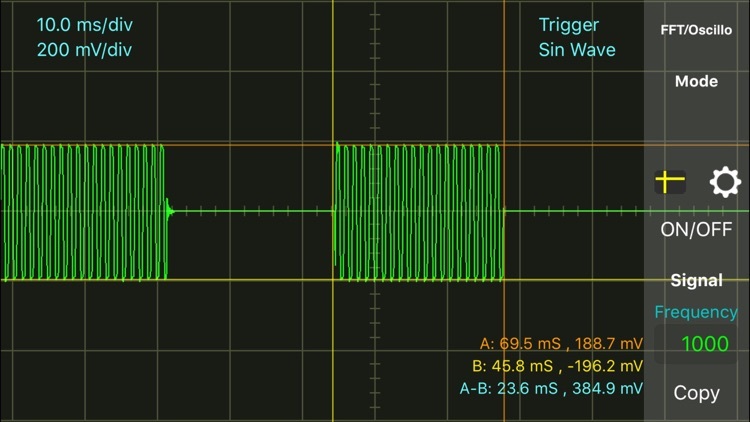 It is possible to observe the frequency characteristic in real time in this mode. When you press the Copy button at any mode, you can capture screen and save it to a camera roll.